That’s right. The mega gaming franchise Call of Duty is going back to the beginning. 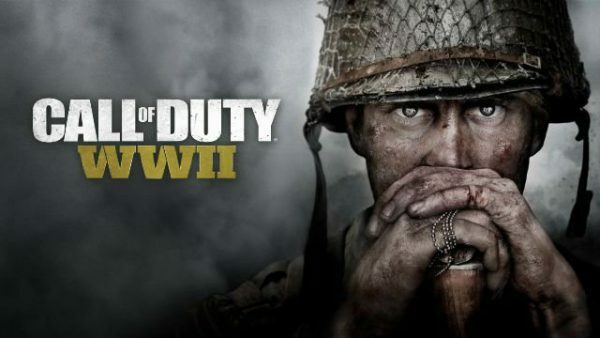 Well, to the 1940’s to be exact with the newly released trailer for Call of Duty: World War II. Here’s some more info from the official press release: “Over two years in the making, Sledgehammer Games delivers a gritty, personal experience in the setting of the largest worldwide conflict in history to a new gaming generation in Call of Duty: WWII. We’re in. Check out the trailer after the break. Call of Duty: World War II hits the beaches (and stores) on November 3rd. 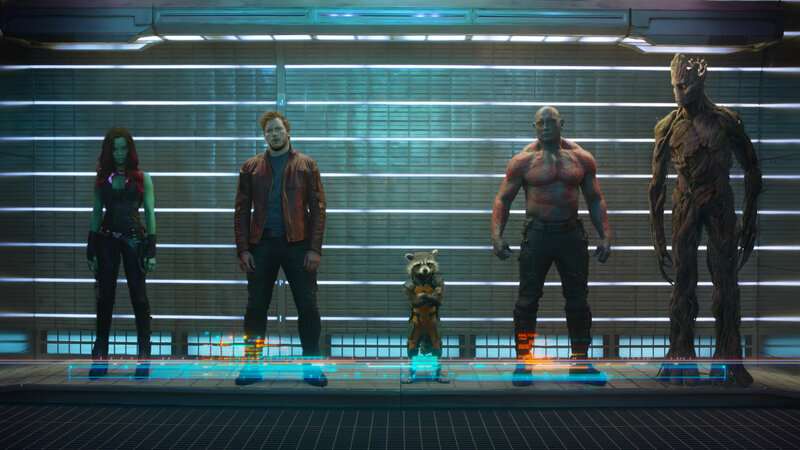 The Flickcast Episode 242: Hail Hydra! That’s right, there’s a brand new episode of The Flickcast for you to enjoy. And on the correct day too. No, no need to thank us. We do it all for you. As you would expect, this week Chris and Joe take on some new topics and revisit old ones. 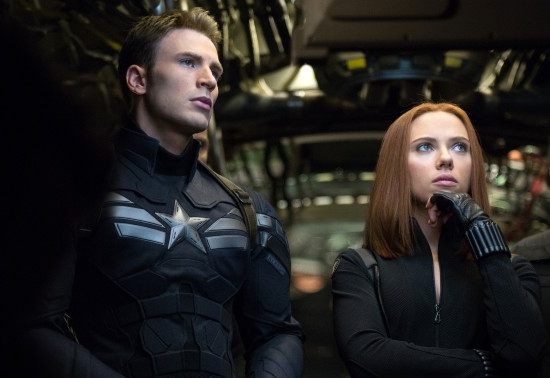 But really, they spend most of the episode talking about Captain America: The Winter Soldier and Agents of S.H.I.E.L.D. You got a problem with that? No. Okay then. This week’s picks include Chris’ pick of the collected comic book trade of The Winter Soldier by Ed Brubaker and Joe’s pick of the band Sound of Contact. Just trying to keep it diverse. Don’t judge. 3 Days to Kill makes a point of flashing Luc Besson’s name across the screen, even though he’s not the director. That distinction goes to McG, whose name really feels like it should inspire some kind of good joke, but if it’s out there, I haven’t heard it. Just like the Luc Besson connection is going to inspire a lot of cinephiles to tell their friends, between exasperations of pretension, that he’s the guy who directed The Fifth Element – and then they immediately follow up with a recommendation of Leon or, The Professional. And well they might, because Leon is an excellent film. But it’s also the film that 3 Days to Kill is going to be compared to, negatively. And while Leon is a better film, 3 Days is not a bad one – or, at least, it shouldn’t be considered bad because it’s not another film. Kevin Costner is Ethan, a semi-retired hitman, working for the U.S. Government and doing his last or next-to-last job. His task is to prevent the sale of a dirty bomb by an ominously, though accurately named terrorist called “The Albino.” The deal goes sour, and people die, but Ethan catches a glimpse of “The Albino”’s boss, “The Wolf.” Now Ethan’s alone in Paris, living in a flat that has been taken over by a sweet tribe of Parisian homeless. He can’t evict them because of Paris law. And Ethan is sick. If there’s one action icon from the 80’s you can always count on, it’s Sylvester Stallone. But this particular post isn’t about him. Instead, it’s about that other 80’s action icon you can pretty much always count on: Arnold Schwarzenegger. Once his stint in the California Govenor’s mansion was over, Arnold went back to movies full time. Those releases haven’t been met with the same, shall we say, enthusiasm as his earlier efforts. 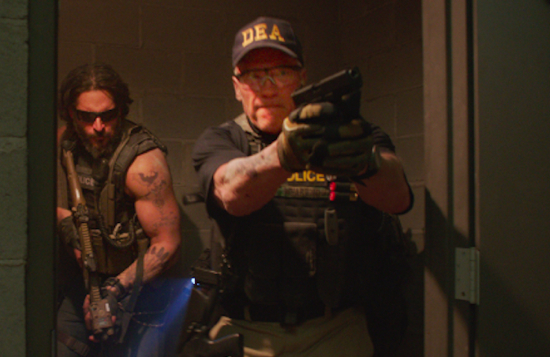 In “Sabotage”, Arnold Schwarzenegger leads an elite DEA task force that takes on the world’s deadliest drug cartels. When the team successfully executes a high-stakes raid on a cartel safe house, they think their work is done – until, one-by-one, the team members mysteriously start to be eliminated. As the body count rises, everyone is a suspect. Well, that won’t end well — especially for the drug dealers. Check out a trailer for Sabotage, which in addition to Arnold features Sam Worthington, Olivia Williams, Terrence Howard, Joe Manganiello, and Mireille Enos, after the break. Even with all the news of Marvel and Disney today (don’t worry, Chris and Joe will talk all about it in the podcast this week), we can’t forget other things dropping today. 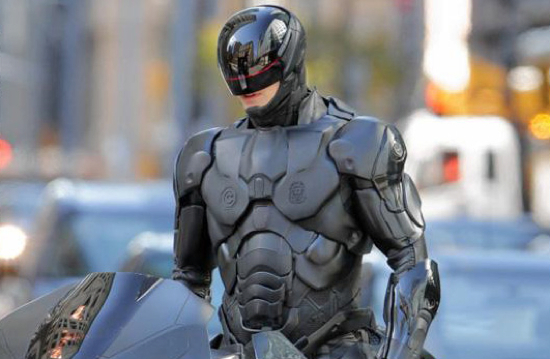 One of these things is a brand new trailer for Robocop from Sony. The reboot, directed by Jose Padilha, stars The Killing‘s Joel Kinnaman as the detective-turned-crime-fighting cyborg. Michael Keaton, Samuel L. Jackson, Gary Oldman, Abbie Cornish and Jay Baruchel co-star. Look for it to arrive on February 12, 2014. Uh oh, February. Let’s hope that release date doesn’t mean what we think it could mean. 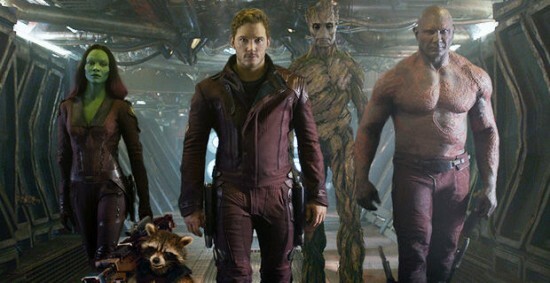 Anyway, check out the trailer after the break. If you haven’t seen director Gareth Evans’ The Raid: Redeption, you’re really missing something. It’s an amazing action film full of so many martial arts fights your head will spin. Yes, it’s that good. And now there’s a sequel, which looks to push things to an even higher level. The first trailer for that sequel, called The Raid 2: Berandal, has arrived and without wasting too much time we can safely say we were hooked from the first few seconds. Can’t wait to see the rest of this one. Check out the trailer after the break. Look for The Raid 2: Berandal to hit theaters in 2014. The Sanno crime family has grown into a massive organization dominated by young executives whose new approach to running the family is causing frustration and pent-up resentment with the old-guard members. This vulnerability in the Sanno hierarchy is exactly what anti-gang detective Kataoka has been looking for, as the police force prepares a full-scale crackdown. Kataoka wants start a war between Sanno and the neighboring Hanabishi crime family in the hopes that they destroy each other. His trump card is Otomo (Kitano) – the rumored-dead boss of a defunct family that was destroyed by the Sanno, who has just been released from prison. Otomo wants to retire from a life of crime, but finds himself drawn back in through Kataoka’s manipulations as the Sanno and Hanabishi clans teeter on the brink of an all-out war. And war it shall be. Oh yes. Bloody, violent war. Check out the redband trailer after the break. Beyond Outrage hits VOD on November 28 and theaters on January 3. Let’s just get this out of the way right now: We like Keanu Reeves. Sure, his acting may not always be, well, terrific, but he still manages to make it work and has been a big part of some of our favorite films of all time. After a treacherous warlord kills their master and banishes their kind, 47 leaderless samurai vow to seek vengeance and restore honor to their people. Driven from their homes and dispersed across the land, this band of Ronin must seek the help of Kai (Reeves)—a half-breed they once rejected—as they fight their way across a savage world of mythic beasts, shape-shifting witchcraft and wondrous terrors. As this exiled, enslaved outcast becomes their most deadly weapon, he will transform into the hero who inspires this band of outnumbered rebels to seize eternity. Check out the trailer after the break. Look for 47 Ronin this Christmas.